A. syriaca was first discovered and described from Syria in 1862 and was named accordingly. 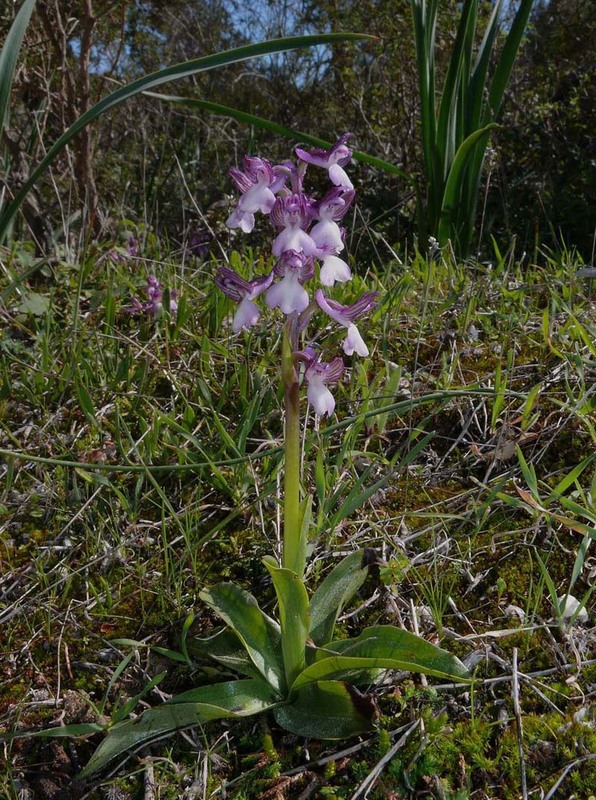 This species was until recently classified as belonging to the O. morio group within the genus Orchis but it had long been recognized by some authorities under the synonym Anacamptis syriaca and eventually this species as well as the other members of the group have been fully integrated into the Anacamptis genus. 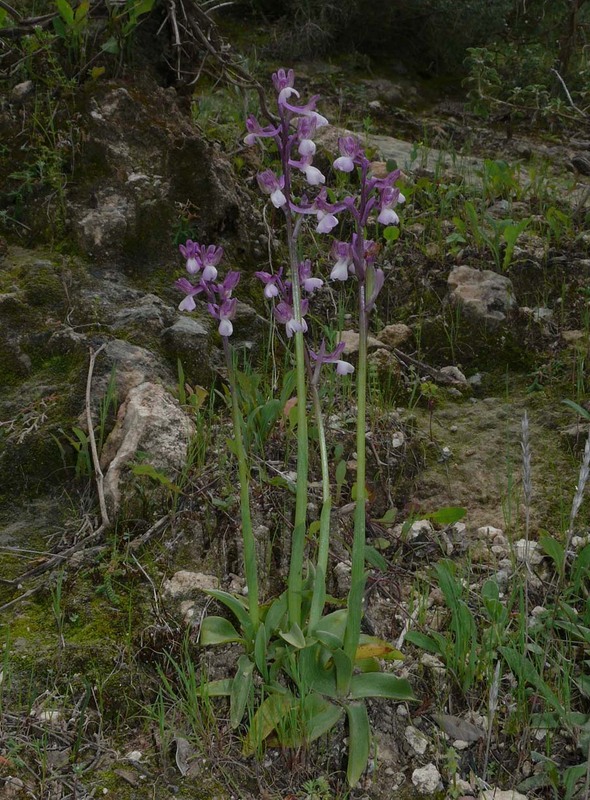 It occurs in several parts of the eastern Mediterranean (and beyond) but although not a rare orchid, it is nowhere a particularly common one. It's perhaps at its most frequent in Cyprus where it can be found in reasonable numbers from February through to April. As with other members of the A. morio group it can be found in a range of colours and pure white specimens are frequently encountered. It is tolerant of a wide range of habitats and will happily grow in full sun or in the shade of often quite dense pine forest. 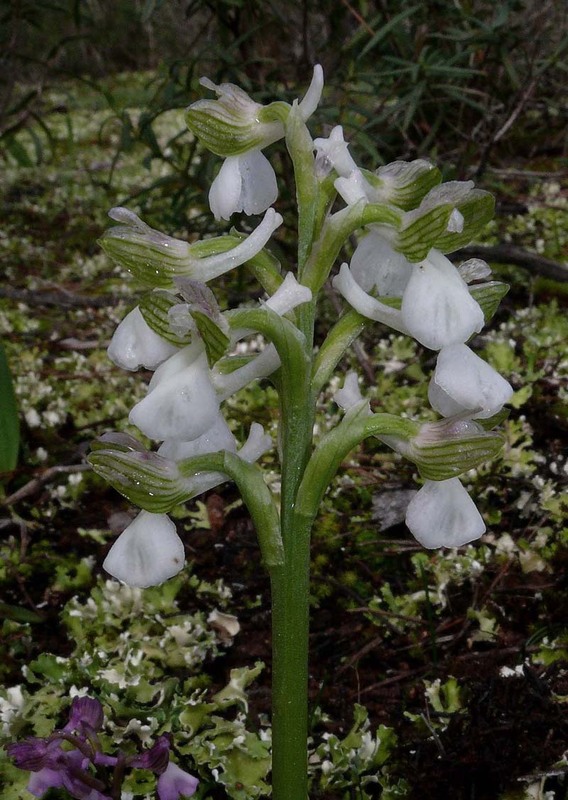 Given its limited distribution and distinctive appearance it is unlikely to be confused with any other species and although its range overlaps marginally with both A. morio and A. picta there seems to be no record of the hybridization problems so common in other orchids of the genus. In Cyprus A. syriaca comes into contact with A. papilionacea (caspia) but as far as we know there have been no reports of any hybridization, whereas in other parts of Europe where these group members grow in association there are virtually always intermediate populations. A. syriaca appears to be an insular orchid that as a species has suffered very little genetic interference. These photographs are from Southern Cyprus and date from late February.